In 1837 Families arrived from Vermont, to settle in this beautiful spot surrounded by a ring of woods, hence the name Ringwood. Incorporating in 1994, Ringwood's board has established Ringwood's legal & financial foundation. Ringwood is diverse for a small town. 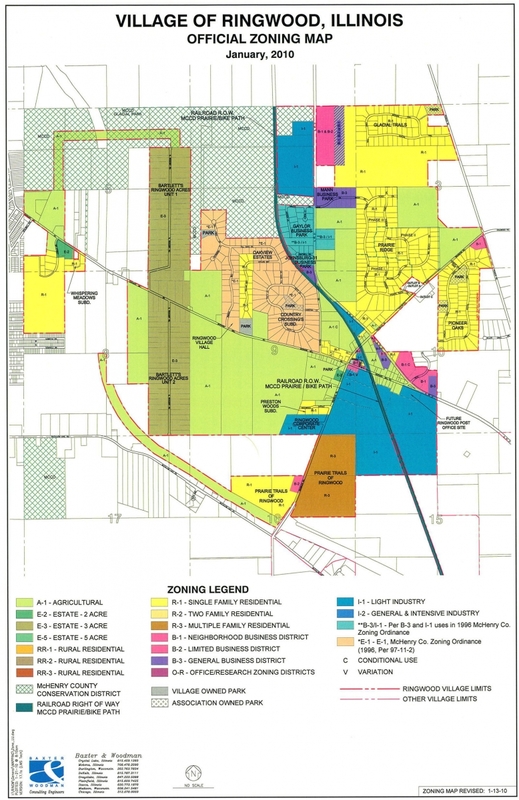 It has historic structures, single-family homes, apartments, subdivisions, farms, businesses such as Dowe/Rohm Haas, Huntsman, and institutions such as the Ringwood United Methodist Church and the Ringwood Primary Center. 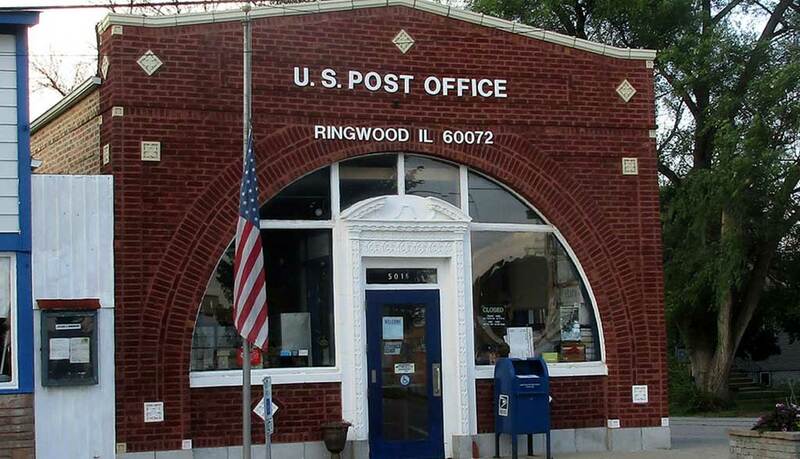 The Ringwood post office was established in 1845 to provide post office boxes for local industrial firms and residents located on the far northern edge of McHenry. 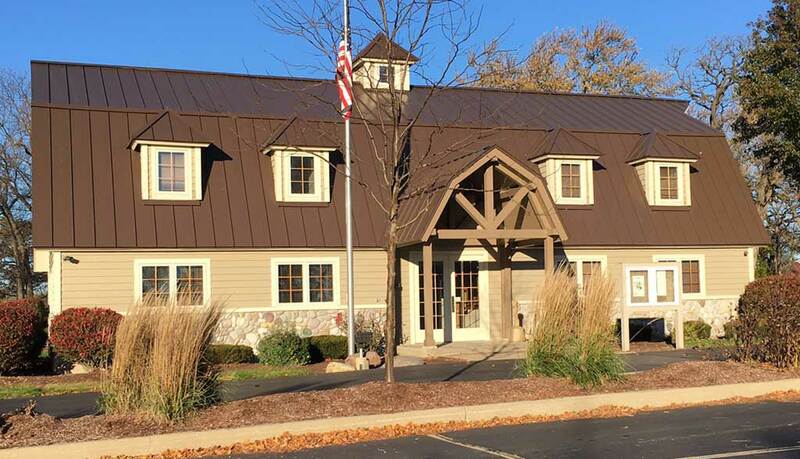 The sturdy brick building is located at 5016 Barnard Mill Rd, Ringwood, IL 60072, (815) 653-9047. Ringwood Post Office Hours are M-F 7:30AM–4:30PM, SAT 9-Noon. Closed Sundays. Our friendly Ringwood Postmaster is Susan Keener. As of the census in 2010, there were 836 people living in Ringwood Illinois. We will need at least 15 volunteers on Saturday, April 13th. To qualify to be a volunteer you need to be at least 18 years of age and able-bodied. If you are interested in volunteering, contact Village Clerk Roni Bushroe no later than Friday, March 29th at: 815-321-1899. Please leave your name and number with Roni in the event that we have to cancel the community build option if we do not get enough volunteers. For those that volunteer, lunch will be provided from the Rusty Nail. Thank you in advance for volunteering. Sunday June 2, 2019, at 10:00 a.m. the Village will host a dedication ceremony for the recently established Trail Head on the McHenry County Prairie Trail in Ringwood. The Trail Head was made possible by a donation made to the Village by the Walkington family in loving memory of Paul and Althea Walkington. A continental breakfast will be served at the Rusty Nail following the dedication ceremony. Parking will be available at the Rusty Nail or at the Dow parking lot on Barnard Mill Road. See newsletter for more information. For Building permits issues or zoning enforcement issues, HR Green - Building Inspection & Zoning Enforcement. Office Hours: Every Wednesday from 4:00 p.m. to 6:00 p.m. or by appointment. Contact: Tina Williams 815-759-8344. As a result of the changes to the recycling industry the Village will partner with WM to educate the public to Recycle Often - Recycle Right. China’s new import policies have had significant impacts on recycling programs across the United States.Please read the Guide for information on Recycle Often - Recycle Right. 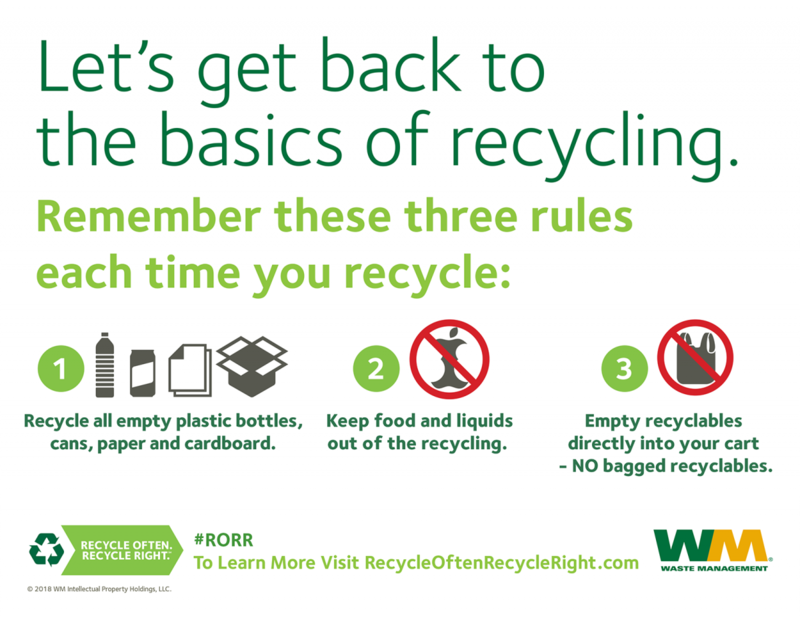 Print and post these handy reminders on or near your recycling bins: 3 Rules for Recycling, Common Contaminants to Avoid, and Do's and Don'ts.